Autumn 3 Ways – Day 2 | NJNA is Blogging! 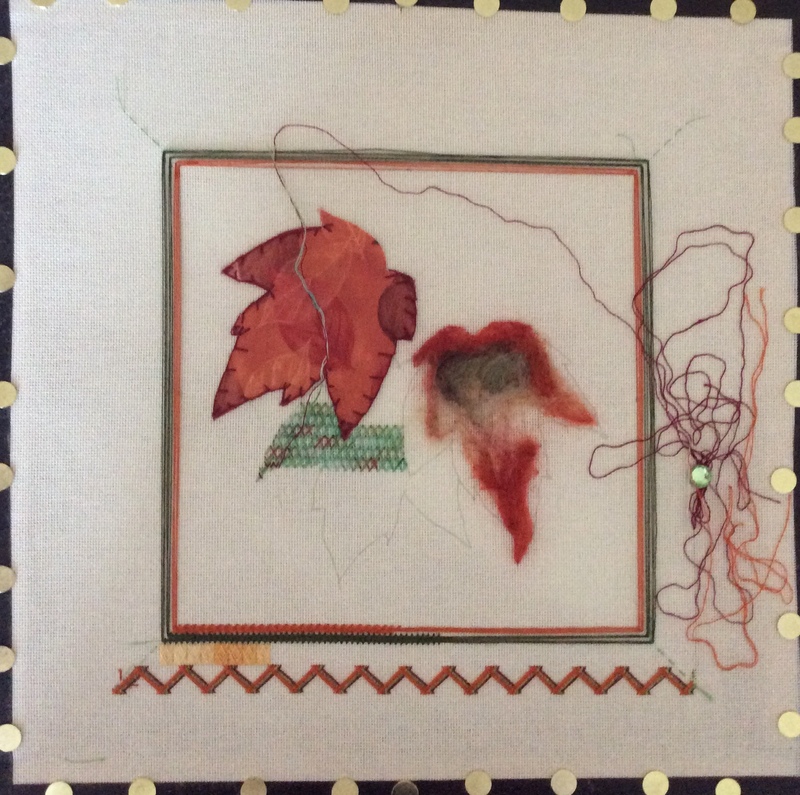 Yesterday was Day 2 of Toni Gerdes’ Autumn 3 Ways. Whereas on Saturday we concentrated on each ot the 3 techniques for the leaves, day 2 focused on the borders, which are dramatic. There are 5 borders, each more dramatic than the last. We spent time working on each border in turn, especially since it was needed to place the next border. Border 4 that looks like ribbons is really multi-trip Herringbone done in 16 passes! Each of the borders took some time to get the pattern but then flowed very well. Toni was a phenomenal teacher who took the time we needed and always made sure we understood and we’re counting correctly! I thoroughly enjoyed this class even though I still have a long way to go. It was definitely worth my time as I learned several new techniques as well as have a piece I love!